Three (and a Half?) Reasons to Get Into the Volvo Ocean Race: If you haven’t been following the current edition of the Volvo Ocean Race, now’s as good a time as any. They just completed a 7,000nm leg from Lisbon, Spain to Cape Town, South Africa and there was some amazing footage and tight racing that came out of this leg -- and it’s only going to get better. 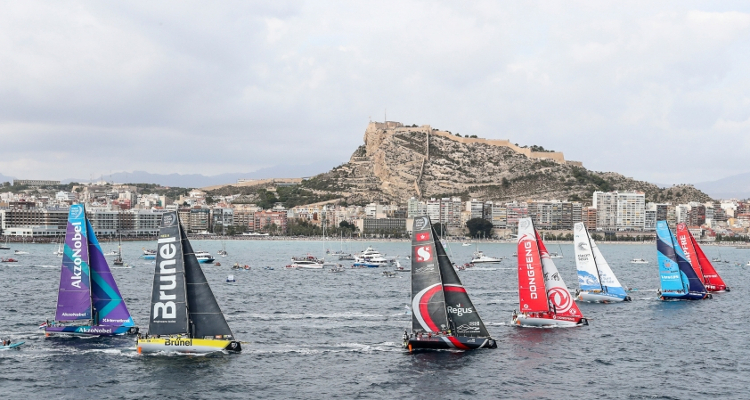 Here are just a few reasons to start following the Volvo Ocean Race now! This edition of the VOR stops over in Melbourne, Australia for the first time in twelve years. The fleet will depart Cape Town and head straight to the Southern Ocean for a 6,500nm flyer. The projected route will take them into the sportiest of the Southern Ocean’s wind and waves, which should produce some fantastic images and stories. There are also double points on the line this leg, so the pain for each rung down the scoresheet hurts twice as much -- expect the teams to be pushing themselves hard (and maybe taking a risk or two) to get to the front and keep their scores low. The Southern Ocean's conditions AND a mad scramble to keep points low? This will be must watch stuff. Keep an eye on the VOR YouTube page and Twitter feed for all of the action starting December 10th at 10:00am EST. Okay -- yes, it’s true that Vestas 11th Hour Racing has as many Aussies as Americans (three each), but let’s not get bogged down in details. The team is led by skipper Charlie Enright and team director Mark Towill, both back for their second go at the VOR and they currently sit in second place overall, just one point off the top step of the podium. 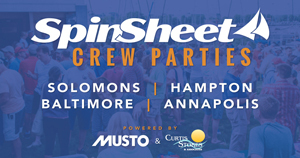 They’ve got a crew packed with experience and while we’d prefer to see a sailor or two from the Chesapeake on a US entry, Enright and crew member Nick Dana are both from nearby Rhode Island -- that’s close enough, right? Vestas is a favorite to win this edition of the Volvo, so if you’re always betting on the long-shot or looking for a great cause/story, keep an eye on the crew of Turn the Tide on Plastic. Skipper Dee Caffari has a 50% female, 50% male crew that’s mostly under the age of 30. They’re short on experience but they have a wonderful environmental mission, a plucky young crew, and they were punching it out with some much more experienced teams on the last leg. They should always be a team to root for this trip around the planet, even if your heart is with a different team. Almost all of the stopovers (with the exception of Melbourne) feature an in-port race. With courses set close to land and against some iconic backdrops, these short around-the-buoys races can be full of action and close roundings. It’s also fun to watch the best offshore sailors in the world trying to coax a straight-line ocean sled around a (relatively) tiny race course -- imagine an offensive lineman trying to do ballet and you kind of get the picture. The next In-Port Race is in Cape Town, South Africa on December 8th at 7:00am EST.